With more than 38 years of experience, Laurence A. Jacobs, M.D. helps couples who have fertility issues realize their dreams of having children. Fertility Centers of Illinois is spearheaded by our senior partner, Dr. Laurence A. Jacobs. As one of 11 members comprising the team of fertility doctors at Fertility Centers of Illinois, he has extensive specialized training and years of experience in the field of reproductive endocrinology. When you come to our clinic, you can rest assured that you'll get a correct diagnosis and effective care in a caring and supportive environment. Contact us to learn more. Fertility Centers of Illinois (FCI) is the largest group of fertility specialists and reproductive endocrinologists in the Midwest, and one of the leading centers in the country. Founded in 1976, it consists of 11 doctors, 10 clinics, and 2 In Vitro Fertilization (IVF) surgical centers with state-of-the-art in vitro laboratories. Dr. Jacobs practices independently, as do the rest of the doctors at FCI, but we consult with each other on a regular basis. This support and sharing of information means you get the most innovative and high-quality care possible. We offer tried-and-true fertility treatment methods, as well as the very latest cutting edge procedures, to help our patients have the children they want. At FCI, Dr. Jacobs and the rest of the staff are committed to providing patients with personalized and customized care. Every child born as a result of our treatment is a cause for celebration here! If you're ready to see a Chicago infertility doctor, the right choice is Laurence A. Jacobs M.D. at Fertility Centers of Illinois. We keep up with innovative Assisted Reproductive Technology (ART) to offer our patients every possible option of conceiving. Our goal is to make a difference in people's lives. Call 847.549.3746 today to schedule a consultation. Laurence Jacobs, M.D., is one of eleven physicians at Fertility Centers of Illinois (FCI). He has both the extensive specialized training and the personal and clinical experience to provide accurate diagnosis, effective treatment, and compassionate care and support to his patients. Read on to learn more about Laurence Jacobs, M.D., a premier fertility doctor in the Chicago, Illinois area. Laurence A. Jacobs M.D. is the only Chicago-area reproductive endocrinologist to be consistently named year after year in all Castle Connelly's publications, America's Top Doctors (top 1 percent of specialists nationwide), and Chicago's Top Doctors (one of the top fertility doctors in the Chicago area) from 2001 to 2018. 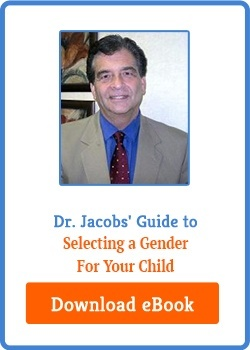 Dr. Jacobs has authored numerous articles for journals, books, and newspapers. Ladies' Home Journal and Chicago Magazine have repeatedly chosen Dr. Jacobs as one of America's Top Infertility Doctors. The Doctor has been honored with the Patients' Choice Award and, most recently, was awarded the Compassionate Doctor Recognition. Fertility Centers of Illinois (www.fcionline.com) is the largest group of reproductive endocrinologists and infertility specialists in Illinois and the Midwest, and is among the leading fertility centers in the country. We have been providing fertility treatment in the Chicago area since 1976. Our 11 experienced physicians, ten conveniently located clinics, and two state-of-the-art IVF centers are focused on providing the best care possible for our patients. Each fertility doctor at FCI practices independently, but shares the resources and other benefits of a large comprehensive practice. FCI is also part of IntegraMed®, a nationwide organization of fertility treatment centers setting high standards of care for physicians. FCI helps patients maximize their chances of pregnancy success through the Attain Fertility™ IVF Program, formerly the Shared Risk® Refund Program. Contact Laurence Jacobs, M.D., if you are looking for a fertility doctor in the Chicago, Illinois area.